One way for a company to protect its intellectual property—such as trademarks, trade secrets and patents—is to require employees, consultants, independent contractors and even partners to sign what’s known as an “invention assignment agreement.” Do you think you might need one for your business? Read on. What do invention assignment agreements do? Invention assignment agreements are contracts that stipulate that anything the signee creates or develops on behalf of the company, is the property of the company. By signing an invention assignment agreement, the party relinquishes ownership rights to inventions and intellectual property he creates during his employment. What is included in invention assignment agreements? Specific terms vary, but usually these contracts include provisions regarding assignment of inventions, disclosure and a power of attorney. 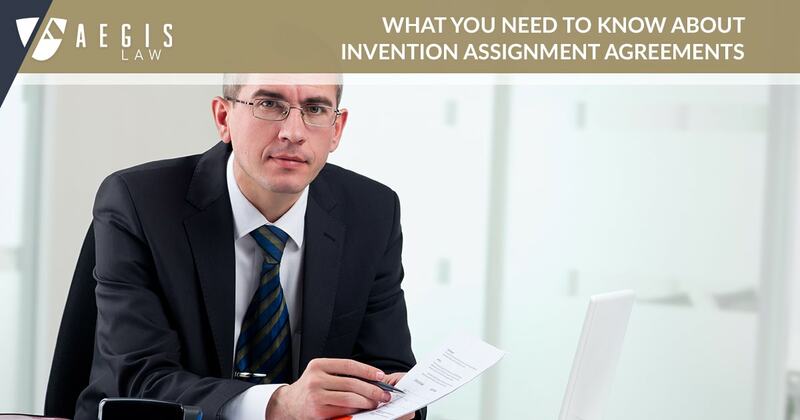 The assignment provision delineates the types of intellectual property the agreement covers. Depending on your needs, you may wish to make this part of the contract quite broad and include ideas (that are, or are not, implemented). The disclosure provision requires the signee to tell the company about inventions, developments, etc., she creates during the course of her employment. A power of attorney provision ensures that the business can proceed with registering ownership rights of the intellectual property even without the signee’s assistance or cooperation. Some agreements also include holdover clauses—which continue to apply after the signee’s employment ends—though courts are more skeptical of these, so they should be limited in time (six months to a year) and scope. What kinds of businesses use invention assignment agreements? While any business may benefit from these agreements, they are especially common in industries such as research and development, software and other engineering, technical fields and various creative pursuits. Are invention assignment agreements enforceable? While all states permit them, some jurisdictions do place restrictions on their enforcement, so legal advice on their formation and execution is essential. Do you want to protect your company’s intellectual property? Call us at (314) 454-9100 or send a message to discuss whether invention assignment agreements are the right solution for you.